Hinduism (Sanātana Dharma) In Peril? This is the English translation of the Editorial of R̥ṣipīṭham, Telugu magazine, published in its December 2018 issue. The magazine is edited and published by Brahmasri Sāmavēdam Ṣanmukha Śarma. Brahmasri Śarma is the foremost exponent of our Sanātana Dhārmic lore. His encyclopaedic knowledge and felicity of expression that makes complex tātvic principles intelligible to common people attract large audiences to his discourses in India and many other nations. Apart from public meetings he appears on several television channels to give discourses on our ancient wisdom. He is a prolific writer and produced many books on Sanātana Dhārmic literature. The translated version of the editorial is published with permission. These are lofty ideals. As the poet said they are “Good sentences and well pronounced!” But they are preached only to Hindus. Or are only uttered by Hindus! There may be broadminded people in other faiths too but they remain mute. And remain faithful to their religious institutions. How ideal would it be if everyone practiced their religion in individual or family settings without disturbing social harmony! But do we see such an atmosphere in India? The intolerance of non-Hindu religions towards Hinduism is a fact of everyday life that cannot be concealed. It is a perilous reality that the Indian polity has been ignoring. A few months ago the pontiff of a non-Hindu religion clearly and unambiguously pronounced “We should elect a leader who accords precedence to our religion. Only our religion should rule the nation.” Another non-Hindu religion has been giving a similar call for long. It must be noted that no Hindu pontiff resorted to such pronouncements. Does any public or media ‘intellectual’ ask “Should such calls be permitted in a nation that is constitutionally secular?” Neither do our political leaders condemn such demands. On the other hand they lose no opportunity to propitiate the proponents of non-Hindu religions. They offer to construct monumental places of worship for them and allot hundreds of acres of public land although such deeds are ultra vires of the Indian Constitution. They are allotting hundreds of crores for their religious festivals. While the Hindu places of worship are state-controlled and income from them expropriated, places of worship of non-Hindu religions are beyond the ken of common law. Governments cannot demand that income from their places of worship be used for ‘secular’, even developmental purposes. On the one hand Indian states grapple with deficit budgets and on the other they shower largesse on non-Hindu religious institutions. The actions of some state governments and pronouncements of the highest judiciary have the effect of undermining ancient temple practices and traditions that stood the test of time for thousands of years. Even state governments led by parties that are ideologically atheist have succumbed to the diktats of non-Hindu religious interests to coerce Hindu organizations. Statutes are amended to appoint non-Hindus to temple management boards. In the national congregation of a non-Hindu religion recently organized in Secunderabad, a resolution was passed to the effect that its adherents should work collectively to bring to power a government in which their religion has a veto. In a recent bizarre incident, adherents of a non-Hindu religion who went to ‘bless’ a Hindu Chief Minister signaled that he should erase the tilak on his forehead, and he meekly obliged! Incidents such as these should have raised the hackles of Hindus but lamentably it did not happen. A slogan painted in large letters on a sacred hillside on the way to a famous Siva shrine in Andhra Pradesh declared that the ‘god’s messenger’ of a non-Hindu religion was the ‘Lord of all’. When a few Hindu devotees sought to erase it, they were arrested by the police and cases booked against them as ‘rowdy sheeters’. The charge against them was that they were disturbing communal harmony! What did the original slogan-painters do? This incident shows not just the state government’s anti-Hindu approach but how it accords preferential treatment to non-Hindu religions. Curiously the two non-Hindu religions don’t take on each other. Their collective target is Hinduism. It is only hapless Hindus who convert to other religions. Forgetting that their ancestors were Hindus, adherents of these non-Hindu religions openly keep abusing Hindu gods and goddesses. In many organizations adherents of the non-Hindu religions coerce their Hindu subordinates to convert. If they do not obey they are penalized. Their career progression is hampered. In organizations in which non-Hindus rule the roost, applications submitted by Hindus are often binned or action on them inordinately delayed. The situation prevails even in security and law enforcement departments. The oppressed Hindus are afraid of bringing the realities out into the open. Many of them quietly convert succumbing to allurements or coercion. This is not to say that non-Hindus should not occupy superior positions. All citizens of this country should enjoy equal rights and have equal opportunities. But shouldn’t people in positions of power discharge their duties justly instead of using their positions and powers as coercive weapons for spreading their religion? It is time Hindus woke up and refused to tolerate political leaders of whichever hue, who pander to other religions and coerce Hindus. It is due to corruption in the Hindu religious and endowments departments and aggression of other religions that the Hindu temples are in a pitiable state. A religion based political party which committed atrocities against Hindus before independence (but for Sardar Patel they would have ‘ruled’ the erstwhile princely State) has been indulged by all political parties in power in ‘secular India! It continues to spew venom against Hindus. If anyone points this out they are labelled ‘Hindu chauvinist’. Those who call for ‘one nation, one community, one law’ are labelled ‘religious bigots’. All in all it is a scary scenario for the Hindus. They should wake up; be aware of the impending danger and get ready for self-protection. If not their apathy would undermine the nation’s progress. If the Hindus do not act, they will be reduced to the status of second class citizens as in Kashmir and North Eastern states. They should remember that even if they decide to run away, there is no other nation in the world to give them asylum! Ever since Narendra Modi became prime minister in 2014, the charge of “undermining institutions” has been a constant refrain in what is popularly but not factually known as the mainstream media. He has been accused of “undermining” every known institution from the Indian Council of Historical Research to the Reserve Bank of India. The raucous babble reached its crescendo after Urjit Patel (a Modi appointee) announced his resignation for personal reasons as the Governor of the Reserve Bank of India. The crescendo reached even a higher pitch after Shaktikanta Das a former IAS official was appointed as RBI Governor to replace Patel. Notwithstanding the fact that he served as the Revenue Secretary, the Economic Affairs Secretary and as a member of the Fifteenth Finance Commission, it was his educational qualifications that became the bone of contention. It must be remembered that when Modi assumed charge as prime minister he left most of the ‘steel frame’ that he inherited in place except for a few minor changes. It is against this backdrop, it may be instructive to look back and review who “undermined institutions” the most. Jawaharlal Nehru ruled for nearly eighteen years since he became the interim prime minster in 1946 till his death in 1964. His daughter Indira ruled the nation for sixteen years, from 1966 to 1977 and from 1980 till her death in 1984. Her son Rajiv ruled the nation between 1984 and 1989. His wife Sonia ruled by proxy between 2004 and 2014. Political chicanery of that magnitude – which amounts to nothing less than undermining the highest political office in the land – would not have been possible in any other democracy in the world. Deception, Disinformation and Psychological Operations have been originally employed by intelligence agencies but politicians caught on to them fast. The Congress party has for long invested in an ecosystem of academic institutions and the media. They come in handy to discredit and disarm political rivals by deception, disinformation and psychological operations. Coming back to the issue of “undermining institutions”, here is a non-exhaustive list of examples of how institutions were undermined or worse sabotaged to suit political whims and fancies under various Congress leaders. Let us begin with the reign of Jawaharlal Nehru who has been hailed as an epitome of democratic values. Curtailing freedom of expression India’s best and brightest minds toiled for about three years to craft the longest written Constitution of the world. It was adopted on January 26, 1950. Even before the ink on the original Constitution dried, Nehru proposed the first amendment. The Americans amended their Constitution about thirty times in two hundred and forty years while we enacted a hundred and one amendments in seventy years. Whereas the American first amendment strengthened freedom of expression, Nehru’s first amendment, enacted on June 18, 1951 curtailed freedom of expression. Curtailing powers of the judiciary The Indian first amendment did more. It created the Ninth Schedule which barred judicial scrutiny of legislations included in it. Downgrading the Finance Ministry Enamoured as he was of the Soviet system of governance, he created the Planning Commission an extra-Constitutional body, which in a way reduced the importance of the Finance Ministry. Dismissing state governments When Nehru used the Art. 356 of the Indian Constitution to dismiss the Kerala state government in 1959, he set a dubious precedent. Calling a ceasefire in Jammu & Kashmir in October 1947 when the Indian army was winning the war. The effect of this ill-advised decision was to lose a third of the state and altering international borders with India’s neighbours. Had India retained PoK, we would have retained Gilgit-Baltistan too. We would have had a border with Afghanistan. His decision to refer the issue to the UNO was equally inexplicable. Dilly-dallying on Junagadh and Hyderabad against the wishes of the Cabinet. But for Patel’s timely action, these states would now have been part of Pakistan. Concealing intelligence reports about the construction of a mountain road network in Aksai Chin by the Chinese. Withdrawing unilaterally the extra-territorial rights in Tibet which India inherited from the British. Sacrificing Tibet by accepting the Chinese claim that Tibet was a part of it. Refusing to accept United Nations Security Council seat when it was offered on a platter to India but instead demanding that it be granted to China. Refusing accession of Kalat and Nepal At the time of partition, a few neighbouring States wished to accede to India. These include Nepal and the Kingdom of Kalat which forms a large part of modern Baluchistan. Nehru rejected them. Oman which owned the port of Gwadar on the southwest coast of Baluchistan offered to sell it to India. Again for reasons best known to him Nehru rejected the offer. The worst undermining of all was refusing to look after the needs of the Indian armed forces in terms of manpower recruitment and training and equipment. Inducting dynastic succession. Nehru made his sister Vijayalakshmi ambassador to the United Nations and the USSR. His daughter Indira was unofficially Nehru’s personal assistant through his years as the prime minister. This made her privy to government documents despite the Official Secrets Act. Later he made his daughter the president of AICC. Awarding himself the Bharat Ratna The award is recommended by the prime minister. But Nehru was the first recipient of the award in the year of its institution. Nehru’s apologists argue that Rajendra Prasad did it off his own bat to signal truce between them but nothing prevented Nehru from refusing to accept it. Revocation of Privy Purses to the former Maharajas. It was a sovereign guarantee given to them by the Constituent Assembly. Her action amounted to undermining the authority of the parliament. In the late 1960s and early 1970s she had had several judicial reverses. They include the Bank Nationalization case, the Privy Purses case and the Fundamental Rights case. Unlike her father who simply amended the Constitution in response to adverse judicial verdicts, she went a step ahead and undermined the judiciary itself. Within hours after the verdict in the Fundamental Rights case was delivered in 1973, she superseded several judges and appointed a pliant judge as the CJI. Refusing to heed the judicial verdict about her parliament seat. Declaring the (internal) Emergency which undermined democracy itself. Technically the (external) Emergency declared in 1962 after the Chinese invasion was still in force. Neither her father nor she saw it necessary to repeal it! Fundamental rights including the right to life suspended. Dismissing state governments and Governors at will. Her refusal to accept a split in the Congress party and her lust for power led to the 1969 Gujarat riots which lasted – six months – and resulted in the death of about 5000 people. The 1983 Nellie massacre in which 3000 Muslims were killed occurred in Indira’s reign. By the by, more than 90% of communal riots in India occurred during the reigns of Jawaharlal, Indira and Rajiv. Making her son Snjay a supra-Constitutional authority. Chief Ministers danced to his tunes. Her propping up Bhindranwale to undermine the Akalis and her war on the Golden temple. Awarding herself the Bharat Ratna This time the fig leaf of Rajendra Prasad was not there. An action that has long-lasting adverse effects was handing over the universities and other intellectual institutions to the left-illiberal elite as a quid pro quo for political support. His reign began with the Sikh genocide, in which between 8000 and 10000 Sikhs were killed. The genocide was a blot on democracy, and the biggest undermining of the institution of democracy. Sacking his Finance Minister to alter the import policy (for importing PTA and other chemicals used in the manufacture of polyester fibre). This was to favour Dhirubhai Ambani. The policy declaration was a replica (or was it a template) of the 2G spectrum auction. His grandfather sought to control freedom of expression through his first amendment. His mother used carrots and sticks to reign in the media. He sought to control the media through an amendment to the Posts and Telegraphs Act, but had to drop it due to widespread criticism. Creation of the institution of ‘UPA Chairperson’. It was an extra-Constitutional authority. Creation of the extra-Constitutional NAC which was a supra-Cabinet superintending the work of the prime minister’s Cabinet. Commissioning social “activists” like Teesta Setalvad to draft legislation (the impugned Communal Violence Bill) and school text books. Now let us see the other argument about an IAS officer being appointed as the Governor of RBI. The following RBI Governors were from the IAS: B. Rama Rau, K. G Ambegaonkar, H. V. R. Iyengar, L. K. Jha, S. Jagannathan, R. N. Malhotra, S. Venkateswaran and Y. V. Reddy. Finally, let us look at the argument that only economists should head economic institutions. In the years between 1970–1973; 1976–1983; 1985–1987; 1990–1997; 2000–2013 and 2017–2018 Americans won the Nobel Prize for economics. 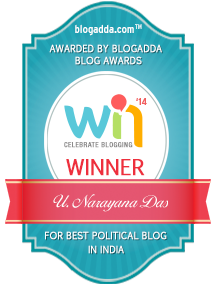 India’s Amartya Sen won it in 1998 giving us bragging rights! While the Americans won the maximum number of economics Nobel prizes or shared them with others, the American economy has had its ups and downs. The American economy saw recession in the years 1969-70; 1973-75; 1980-82; the early 1990s; the early 2000s and the worst in 2007-8. The 2008 collapse wiped out life’s savings of many Americans including Indian expatriates, making millions paupers overnight. So much for economists! Is Astrology Science Or Superstition? On the eve of the May 2014 general elections, several Telugu news channels conducted what they call ‘panel discussions’ on astrology. It would be a mistake to expect ‘panel discussions’ on television to be objective in which the two sides of the issues under discussion are debated and rational conclusions arrived at. There is nothing rational or scientific about the debates. The subjects are selected based on their topicality to arouse viewer interest and are subject to two limitations: the channel’s political worldview and the political correctness of the subject. Commercial interests of course, determine a channel’s political worldview. As for political correctness, it depends on whether there would be a backlash. Even the most intrepid champions of freedom of speech tread cautiously in the face of a suspected backlash. If they are sure there would be no backlash, they would go overboard flogging the issue. There is no need to state the converse. In the discussions on astrology, a couple of ‘not very articulate’ astrologers were pitted against rabble rousing rationalists and asked to predict the outcome of the elections. Despite protestations that Jyothisha predictions should not be made without sufficient data they were made to predict electoral outcomes, only to be jeered at. The anchors saw to it that the odd articulate astrologer did not get enough air time. He was simply shouted down in cacophony. The overt objection of the rationalists to astrology is that it is unscientific. If the objections were really ‘scientific’, they should have objected to such disciplines as craniometry (measurement of the head), phrenology (measurement of the skull) and nasal indices as predictors of race not to speak of the wholly unscientific Aryan Invasion Theory (AIT)—which was based not on historical or archaeological evidence but on comparative philology! What logical arguments do the rationalists offer in support of their contention that astrology is unscientific? Do they offer cogent reasoning and verifiable proofs? No, just an arrogant and unsubstantiated assertion that it is ‘impossible’! In the history of science, there are many examples which disprove the theory of ‘impossibility’ when subsequent discoveries upturned confident assertions. For example, in 1800, the English scientist, John Dalton proposed that the atom was the smallest particle of elements and was indestructible. Eysenck and Nias list several ‘impossibility’ theories which fell flat when subsequent discoveries disproved them. In 1933 Albert Einstein and Ernest Rutherford two of the world’s greatest physicists declared that the splitting of an atom could have no practical uses. Just twelve years later America dropped its bombs on Hiroshima and Nagasaki. Many countries in the world today harness the energy released by the splitting of an atom for peaceful uses. Galileo, Kepler and Copernicus, all dismissed the theory that oceanic tides were caused by the moon as ‘astrological nonsense’. Johannes Muller, a very reputed nineteenth century physiologist and the author of an authoritative monograph on the subject, declared that measuring the speed of a nervous impulse would never be possible. Only three years later Helmholtz had measured it quite accurately. What is science and what are the criteria that should be satisfied for a discipline to be declared scientific? Eysenck and Nias suggest three methodologies. Sir Francis Bacon’s induction method involves collection of facts and a theory hypothesized based on them. The Vienna School of Logical positivism suggests that a theory is proposed which is then verified or disproved by research. Then there is Sir Karl Popper’s argument that no theory can be finally verified as, even after a theory is verified umpteen times, one more experiment might still disprove it. The catch in this proposition is that Popper believes that ‘a theory is scientific if it is open, not to being proved true (which it never can) but to being proved wrong’. The authors argue that none of these methodologies were ever applied to astrology before disqualifying it as science. A generally accepted criterion for a scientific theory is that its results should be replicable, i.e. it should yield predictable results and that the same results should be obtained in repeated experiments. Let us consider the example of modern medicine to validate this theory. Medical magazines regularly publish clinical trial reports of medical, surgical, radiological or other procedures used in the treatment of diseases. The reports very rarely report 100% cure rates with several trials reporting as low as 60-70% success rates. This means the results of curative procedures used in modern medicine are not always replicable. In spite of this anomaly, none disputes that modern medicine is a scientific discipline. ‘Statistical significance’ (rather than absolute conformity) is an accepted criterion for validation of results in ‘double blind cross over’ clinical trials used to study the efficacy of medicines. A majority of rationalists appear to be unaware of such nuances in scientific criteria. The Gauquelins began their work by analyzing 576 members of the French Academy of Medicine, ‘who had achieved academic distinction by virtue of their research’. They found that the doctors were all born when Mars or Saturn had just risen or just passed midheaven. In order to validate the theory, the Gauquelins tried to replicate their experiment with another group of 508 doctors with similar antecedents. The replication conformed to the original observation. Encouraged and intrigued by the results they extended the research to include other professionals in Belgium, Germany, Holland and Italy and reviewed 25,000 birth dates. When they contrasted 5,100 successful artists with 3,647 successful scientists they found quite interestingly that while the scientists were born when Saturn has just risen or was past midheaven, the artists tended to avoid being born under the planet. Similarly when they reviewed the birth charts of 3,438 military leaders, in 680 cases (against 590 sufficient for statistical significance) they found that Mars considered the symbol of the god of war had risen or was past midheaven. In order to confirm the results the researchers studied control groups selected from the general population and concluded that the planetary positions as mentioned occurred only for the births of the famous and distinguished. The results seem to indicate that these planets are ‘related to destiny, success and good fortune’. A corollary to the observations already made was the predictability of certain character traits found in business leaders and successful sportspersons. It was found that those with birth times associated with Mars were seen to have greater determination and iron will. A study that reviewed the birth charts of 2,089 sportspersons, 1,409 actors and 3,647 scientists could predict personality factors like ‘extravert’, ‘introvert’, ‘unstable’ and ‘tough-minded’. The researchers made quite a few other interesting observations in their studies. It is not possible to include them all here for want of space. However one point deserves mention. Invariably the results the researches obtained conformed to naturally occurring births and not artificially induced ones. This means that human hand cannot design destiny. It has to be ordained by the Gods! Eysenck, H. J., and Nias, D.K.B. (1984). Astrology Science or Superstition? Penguin Books. New York. If we are asked to name a singular, monumental failure of independent India, we can unhesitatingly point out that it was our inability to forge a national spirit. Every institution contributed to this failure including the education system. This essay excerpted from ‘TWISTING FACTS TO SUIT THEORIES’ AND OTHER SELECTIONS FROM VOXINIDCA’ (pp. 290-298) examines the role played by text books written for school students and how they contributed to exacerbate rather than reduce caste schism. In particular it critiques the Class IX social science text book published by NCERT in 2007. In common understanding, learning means the acquisition of knowledge and skills. In terms of behavioural sciences learning implies acquisition of knowledge, skills and attitude resulting in permanent change in behaviour. It is attitude that informs thought processes and character. This is the reason why traditional Bharatiya education focused on shaping attitude and character. Behaviour has two other modifiers: experience and conditioning. Experience is gained by repeated application of knowledge and skills. Conditioning is the result of positive or negative experiences. Conditioning is the rationale underlying the ‘carrot and stick’ principle of motivation. However, hardened attitude can sometimes override knowledge and skills in shaping behaviour. For example, erudition may not bar a university professor from becoming a criminal; or a well-educated highly-paid individual from becoming a terrorist. The focus of traditional Bharatiya education on behaviour and character was to defy experiential conditioning. It was to tread the path of righteousness irrespective of positive or negative experiences. After reading this, the reader is likely to be confused by the introductory part of ‘Section I’, as it interprets the ideas that shaped India’s freedom movement. The latter informs the reader that ideas like liberty and equality, products of the French Revolution and socialism, product of the Russian Revolution, have informed anti-colonial movements in India and China. It mirrors the Western view that Gandhi was inspired by Rousseau, the French Revolution and Thoreau. The progressives won again and Palwankar’s brother Vithal was eventually made captain in 1924, by which time Palwankar retired. The Hindu Mahasabha fielded Palwankar in an election to the Bombay Municipality in 1933, against an upper caste candidate. 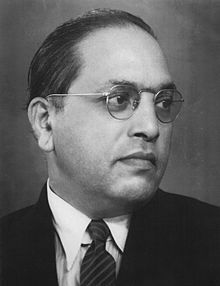 The Congress party fielded Palwankar against B. R. Ambedkar in the Bombay Legislative Assembly elections in 1937. Bhattacharya, Neeladri. “History and a Changing World” In India and the Contemporary World—I (Textbook in History for Class IX. (2007). Publications Department, NCERT. New Delhi. Kesavan, Mukul. “History of Sport: The Story of Cricket” (pp. 141-158).The chapter is drawn mainly from: Guha, Ramachandra. (2002). “A Corner of a Foreign Field: The Indian History of a British Sport.” Picador. Chapter VII. Nair, Janaki. “Clothing: A Social History” (pp. 159-178) (Textbook in History for Class IX. (2007). Publications Department, NCERT. New Delhi. Ansari, Muneeb (2011). “The Bombay Quadrangular: Cricket as a Political Forum in India.” May 2011. Accessible from https://goo.gl/FXB9ox p. 11 Footnote. Russell, Bertrand. (1935). “IN PRAISE OF IDLENESS AND OTHER ESSAYS”. Sixth Impression (1970). Unwin Books. London. p. 70.